Your HVAC system is a very hardworking piece of equipment and in some homes, it can see almost daily use. If the system doesn’t function optimally, that can affect its efficiency and you will find yourself dealing with very high power bills each month. Improves the efficiency and performance of your air-conditioner. We use the latest technology and equipment in our work and this means you can rest assured that the work will be completed efficiently and as per the manufacturer’s specifications. Our technicians will not only inspect and maintain the actual air conditioning system but will also make sure that the ducting and vents are clean and clear of dirt and dust. This helps improve the quality of indoor air in your home. Regular maintenance by professionals like us increases the system’s longevity and saves you the cost of unrequired repairs and replacements. When we come in for regular maintenance of your air conditioner, we make sure that all the components are checked for efficiency. If we find any part not functioning as it should, we will replace it without delay. This helps prevent sudden breakdowns and saves you the inconvenience of being without any air-conditioning. 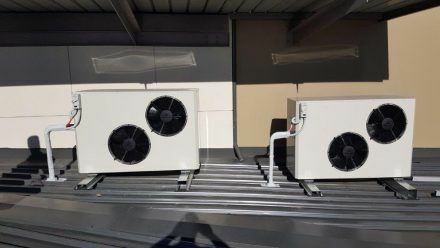 We at GAM Air Conditioning provide excellent residential and commercial air conditioning installation, maintenance and breakdown services. For any more information please feel free to contact us at 0283316397, send us your queries via this online form or get your free quote for installation here.